In 1996, as part of the Public Financial Management Reform Programme, the Ghanaian Government instigated the transformation of the country’s public procurement system. The idea behind the move was to improve public finances in Ghana, the bad management of which had long strangled the country’s economy. Subsequently, a comprehensive procurement law was enacted and a new structure was created to promote public procurement as a vital instrument for economic development. The exercise successfully harmonised procurement guidelines with international treaties and conventions. Through the newly created Public Procurement Authority (PPA), competition, efficiency and transparency in Ghana’s public procurement process was achieved. Helping to steer PPA is A B Adjei, who has recently taken up the role of CEO for the second time – the first being from 2005 to 2010. Adjei’s main goal is to ensure that the authority cements its status as a global model while protecting Ghana’s public purse. In an interview with European CEO, Adjei discussed new initiatives and how he is repositioning PPA as a leading public sector organisation. You served as CEO for PPA between 2005 and 2010. What has changed since then? By the time I left in 2010, PPA had a strong staff of around 40; we did our best and introduced a whole lot of innovations and initiatives. One of the most prominent was the development of a tool called the Procurement Model of Excellence (PPME), which I spearheaded with the support of the Organisation of Economic Cooperation and Development. The PPME tool enables the authority to assess all procurement activities conducted by procurement entities in the country. It gained international recognition and I was made a global ambassador for the tool, promoting its use across different procurement jurisdictions worldwide. The World Bank, along with other international organisations, allowed state institutions to use Ghana’s procurement systems. In 2006 and 2007, Ghana achieved some of the highest scores in procurement assessments, a testament to its high level of compliance to the country’s systems and international best practices. We were very proud of this progress. I left the position in July 2010 and went back to private consultancy, but I was worried that things had begun to take a downward turn. The authority began to experience its lowest point in terms of reputation and public confidence: all the gains that we had made were being eroded. How would you rate the contribution of the agency to Ghana’s economy? 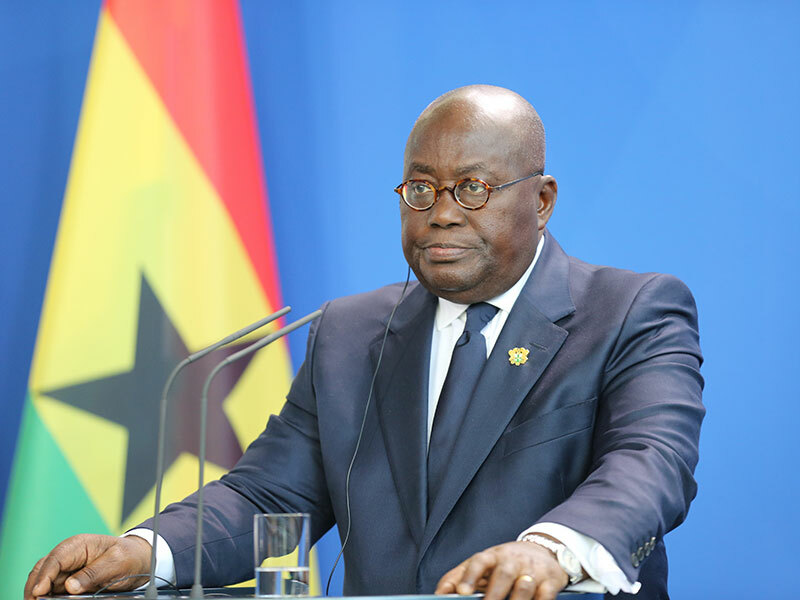 PPA’s contribution has been superb because it is meeting the aspirations of the President of Ghana, Nana Addo Dankwa Akufo-Addo, who took an oath of office to protect the public purse for Ghanaians. Upon my return to the authority, we put in place a number of measures and initiatives to make good on the president’s pledge. I have established two new, purpose-driven departments: the Due Diligence Unit and the Procurement Audit Unit. The Due Diligence Unit carries out comprehensive reviews of applications received for single-source and restricted tendering. The unit conducts due diligence to ensure there is value for money in undertaking those procurements and that the value of proposed contracts is justified. Through this initiative, the authority was able to record a GHS 800m (€144m) saving in 2017. The Procurement Audit Unit, meanwhile, conducts audits on the procurement methods that PPA does not have direct involvement in – for example, requests for quotation, requests for proposal and national and international competitive tendering. Prior to the establishment of the Procurement Audit Unit, misprocurements and procurement infractions processed through these methods could only be detected at the end of the year, after our annual procurement assessments or the auditor general’s annual financial audits. Now, comprehensive audits are conducted on a periodic basis with a view to identifying possible procurement infractions. How are you ensuring PPA is a leading organisation within the public sector? As this is my second term as CEO, I have the opportunity to complete some of the initiatives that were started during my first term. For instance, we have begun a rebranding exercise to reposition the organisation. One such decision saw us relocate the office to Airport City in Accra. We are also maintaining a clear focus on the mandate of the authority, which is not to just approve single-source applications but also to ensure these applications are properly scrutinised in order to deliver value to the nation. We have also commenced the establishment of a centralised supplier registration database that will inform decisions on policymaking in terms of government contracts. With this initiative, every entity that seeks to do business with the government will be required to undertake this registration process in order to satisfy conditions for eligibility. Additionally, we have plans to revamp our website to enhance transparency and the flow of information in Ghana’s procurement system. Moreover, following the completion of a comprehensive procurement audit in eight major state institutions, the authority has forwarded its findings to the attorney general and other investigative agencies, who will apply appropriate sanctions to encourage compliance. What do you hope to accomplish during your second tenure as CEO? The effective implementation of the Public Procurement Act is a pressing issue for the nation. The law was passed as long ago as December 2003 and regulations were supposed to be developed almost immediately. For various reasons, the regulations couldn’t be passed, which has been a serious setback for PPA’s performance and reputation. Fortunately, the law was amended in 2016, and we are now developing new regulations for parliamentary approval. I am hoping that by the end of this year we will have put the regulations in place. The second thing I want to achieve is to ensure entities are empowered to carry out self-assessment of their own activities. Currently, it takes a lot of money and resources to conduct annual procurement assessments. To solve this, we want procuring entities to use the PPME tool that we have developed to conduct self-assessments. Once they’ve completed their self-assessment, PPA – which is the regulator – can validate the information through a brief assessment. Lastly, I want the national purse to be highly protected. Doing so will free up resources for other projects, which will benefit the citizens of Ghana. The ultimate goal of everything that the authority and I are doing is to ensure that we protect the public purse. Having studied management techniques, I’m very much in tune with two management theories: Theory X and Theory Y. Theory X states that people are naturally lazy and dislike work. If they aren’t supervised they won’t do what is expected of them. Theory Y encourages a collaborative, trust-based relationship between managers and employees. I believe that if you don’t supervise people, you may not achieve the desired results. I try to blend Theory X and Y to get the most out of my team of employees. Which of your accomplishments are you most proud of? I love to see change happen, so I truly believe in the philosophy of change management. When it comes to difficult situations, you don’t throw your hands in the air and express how hopeless the situation is. My philosophy is that whatever situation I meet in life, I deploy all my energy and attention to effect some positive change. I cannot recount all of my achievements, but my main motivation is to see change happen. If you had three wishes related to the future of Ghana, what would they be? First, I would want to see the establishment of functional procurement entities in the country and have professional procurement personnel running the departments to achieve value for money on every cedi spent. Second, I would like to see the government acknowledge and apply procurement as a developmental tool for its industrialisation agenda. Third, I hope the government will provide the PPA with adequate funding to enable the authority to consolidate the gains it has made from its purpose-driven initiatives.